Paw paw fruit trees are abundant in Central and South America. Paw paw, also called graviola, soursop or guanabana, comes in a variety of shapes and sizes, and its white, fibrous pulp is rich in nutrients. Although this tropical fruit is relatively unknown in the United states, it is a common component in fruit salads, drinks and desserts in the Central and South American countries where it grows. Low in calories and high in vitamins and minerals, it can supplement your diet with a wide array of nutrients. 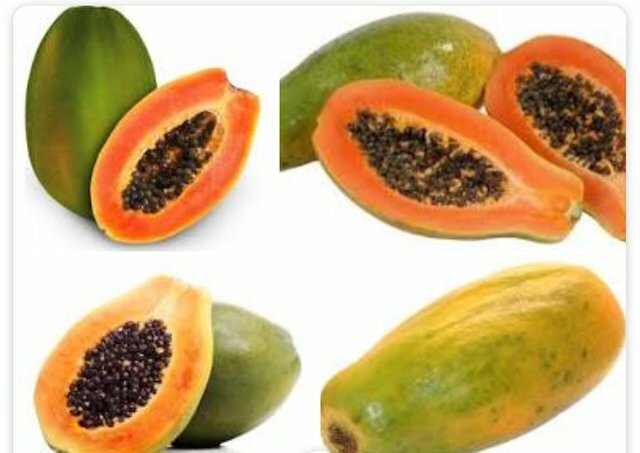 Eating paw paw helps your body metabolize the other food you eat. A cup of raw paw paw provides about 10 percent of the vitamin B-6, thiamin, riboflavin, folate and niacin you need daily. These B-complex vitamins work together to help your body convert protein, carbohydrates and fat into energy. Paw paw contains antioxidants, giving you one-half of the vitamin C you should get each day. Vitamin C plays a role in keeping your cells healthy and your immune system strong, and it helps your body absorb some essential minerals, such as iron and calcium. Unlike many tree fruits, paw paw is a rich source of minerals. Each cup provides about one-seventh of the magnesium, one-eighth of the potassium and one-tenth of the phosphorus you need each day. It also contains 1.35 milligrams of iron. The Institute of Medicine recommends that women up to age 50 get 18 milligrams of iron a day, while men and older women need 8 milligrams of iron daily. Paw paw may offer benefits to people with some forms of cancer, according to researchers who published a study in "Nutrition and Cancer" in 2011. They found that breast cancer patients who took 200-milligram doses of paw paw extract for 5 weeks experienced inhibited growth of their tumors. University of Nebraska research ers, who published a paper in "Cancer Letters" in 2012, also concluded that paw paw extract appeared to stop cancer from spreading and even to shrink existing tumors. Paw paw is a satisfying fruit for people trying to lose weight or maintain their current weight. Each cup of raw paw paw has 148 calories, 2.25 grams of protein and less than 1 gram of fat. It is also higher in fiber than an apple or a pear, giving you 7.4 grams of fiber per cup. Eating high-fiber food benefits your digestive system and adds bulk to your meal, making you feel fuller and more satisfied without taking in excess calories.